The British Orthodontic Society's annual conference is to make its debut in Manchester this September, when 1,200 delegates from the dentistry profession are expected to attend. 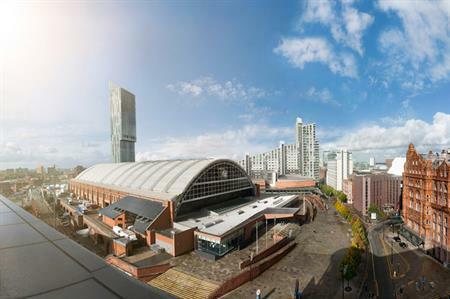 The British Orthodontic Conference 2013, the society’s 27th annual event, will take place 19-21 September at Manchester Central and will feature an array of UK-based and international speakers sharing their expertise with delegates. Angie Robinson, Manchester Central’s chief executive, said: "The British Orthodontic Society (BOS) is the sole national body for all orthodontic matters and carries out hugely important work. This conference will attract the leading professionals in the business and will cover some real cutting-edge research so I am delighted that Manchester Central has been chosen to host such an important event. Simon Littlewood, chair of the conference, added: "The British Orthodontic Conference is the most important date in the calendar for orthodontic providers in the UK, so it is key that we have a top quality venue to reflect this."